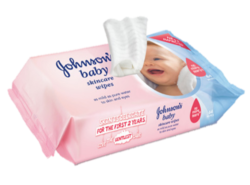 We are a top-notch organization, engaged in providing Johnson's Baby Skincare Wipes. We are a most trusted name among the topmost companies in this business, involved in offering Wet Wipe. Professionals work in close coordination to offer Wet Wipe in the market in easier way. Wider in size, these products are easy to use and show longer life working. Moreover to this, these products are extreme soft to skin and available in the market in various sizes. We ensure premium quality of these products. -20cm, 18*20cm 3.Alcohol free/aloe vera/VE 4.Timely delivery Wet wipe for skincare : a.Non-woven material, b.Weight : 40gsm (2gsm-45gsm) c.Size : 15*20cm, 18*20cm, others as the clients. Being one of the reputed organizations in the market, we are engaged in manufacturing, exporting and supplying an exclusive range of Wet Wipe. These wipes are treated with softeners, lotions or added perfume which leaves fresh feeling. Moreover, these are soft and gentle which ensures that it cannot damage the delicate skin. With vast industrial experience, we are involved in offering a wide range of Skin Antiseptic Wipes.